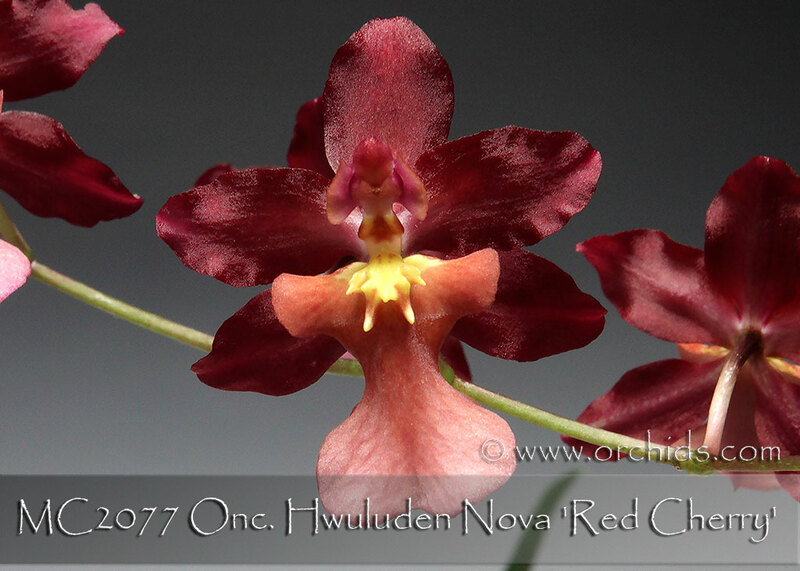 An intriguing new hybrid mating a small growing, extremely floriferous primary Oncidium parent of Onc. 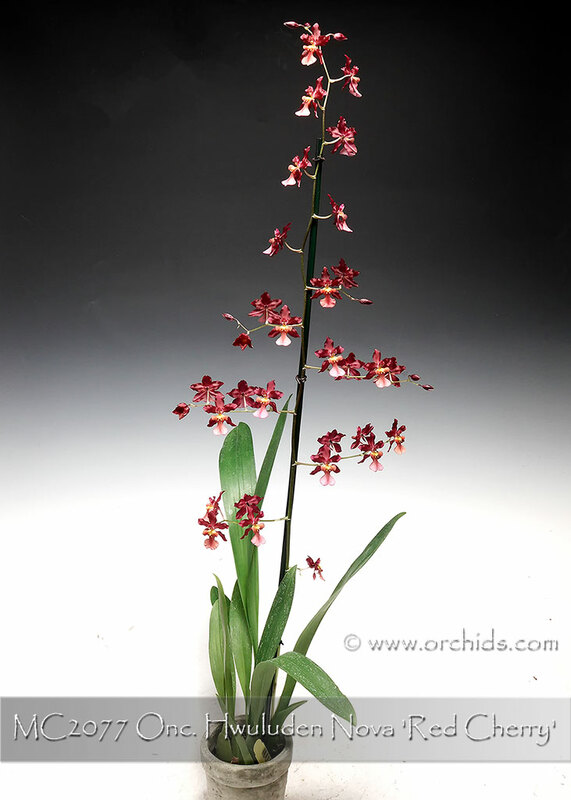 (hyhaematicum x sotoanum) with Tolumnia (Oncidium) Firecracker ! The result has given us a miniature grower with very clean attractive leaves which produces multitudes of small red flowers on readily branching inflorescences. With its added plus of great heat tolerance, this is an easy grower which can flower twice a year. Highly Recommended !